Tap the Test ID button. 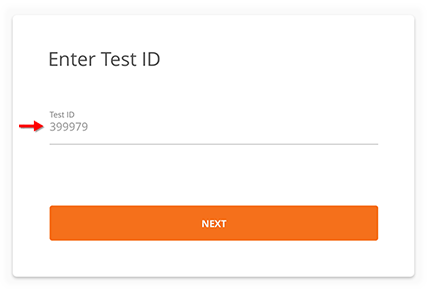 Enter your Test ID number and click Next. Note: For more information on how to find or generate Test IDs, please see our help article Generate or Set Expiration on Test IDs. Now you’re ready to scan or enter scores in the Grader.